W. Montague Cobb was a distinguished professor of anatomy best known for his research in physical anthropology, the growth and development of the African American, and aging in the adult skeleton. Through his research, he refuted the notion of innate physiological differences among racial groups. He also chronicled the history of African Americans in medicine and was a leader in the integration of hospitals in the United States. Born in Washington, D.C., William Montague Cobb attended Dunbar High School, an academically rigorous but segregated school for the city’s black students. After earning a B.A. from Amherst College in 1925, he spent a summer at Woods Hole Oceanographic Institute in Massachusetts, where he met the zoologist Ernest Everett Just. Just was on the faculty of Howard University, and Cobb made the decision to continue his studies at Howard’s College of Medicine. He obtained a medical degree from Howard in 1929, followed by two years of postgraduate work in anatomy and physical anthropology at Western Reserve University in Ohio. He received a Ph.D. in physical anthropology in 1932, the first African American to earn a doctorate in that emerging field of study. His dissertation was a comprehensive survey of skeletal materials available for research in the United States. Dr. Cobb returned to Howard University as an assistant professor of anatomy. He became a full professor in 1942 and devoted his career to teaching and to assembling a reference and research collection of over seven hundred skeletons of African Americans. He chaired Howard’s department of anatomy from 1949 to 1969 and was named a distinguished professor (1969) and distinguished professor emeritus (1973). He authored over a thousand publications on cranial anatomy, physical anthropology, the medical and societal effects of racial discrimination, and civil rights. 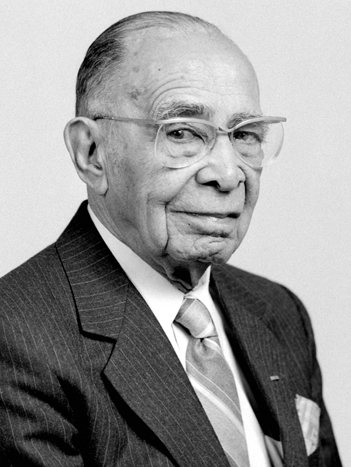 He held prominent positions in many professional and civic organizations, including the presidency of the American Association of Physical Anthropologists (1957–1959), the National Medical Association (1964–1965), and the NAACP (1976–1982). He co-founded the Imhotep National Conference on Hospital Integration, which met annually from 1957 to 1963. His efforts contributed to passage of the Civil Rights Act of 1964 and the Medicare Bill of 1965. In 1965, Dr. Cobb also served on the Executive Committee of the White House Conference on Health. Dr. Cobb’s contributions to medicine, physical anthropology, public health, and civil rights were recognized with more than a hundred awards, including the U.S. Navy Distinguished Public Service Award (1978) and the Henry Gray Award (1980), the highest honor bestowed by the American Association of Anatomists.